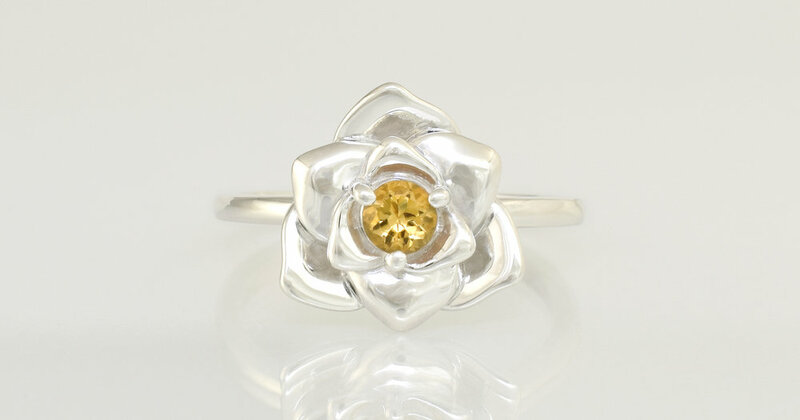 In January I announced a new flower earring design and mentioned that I would be making a ring version and it is now ready. When my wife saw the earrings she asked me to make a ring version for her. I did that and have now added it to the shop section of the website. 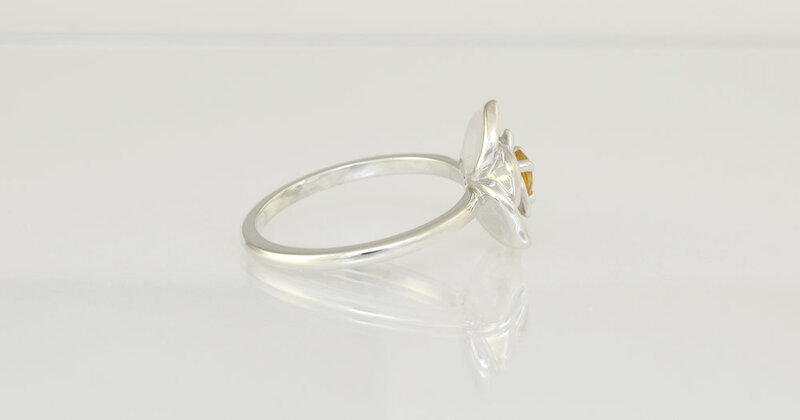 The ring above is 4mm Citrine set in Palladium Sterling Silver and is $135. It is available in a variety of colour gemstones at the same price. I can also quote to make the ring in another precious metal or gemstone of your choice. Please email or call me with any questions and you can also view more details in the shop section. I am working on a Pendant version of this design that I hope to release in the near future. A trial version is shown in the middle of the photo below.